Both stylish and spacious, our two brand new T68 Dethleff Sunlight Motorhomes were delivered to The Family Travel Centre last week. Arriving earlier than planned, we were extremely excited to see our new additions to the Motorhome Travel Agency. While venturing out to the Brislington showroom, we were allowed full reign to explore our new motorhomes in detail. Since they both have the same exterior, the two motorhomes have different interiors which are equally beautiful and delicately crafted. Most of all, our customers will love the quality, layout and design these homes offer. A Sunlight T68 is a practical and attractive style of Motorhome. It features large single beds which can be joined to create a double bed, and comes with a floating table with an L-shaped table design. 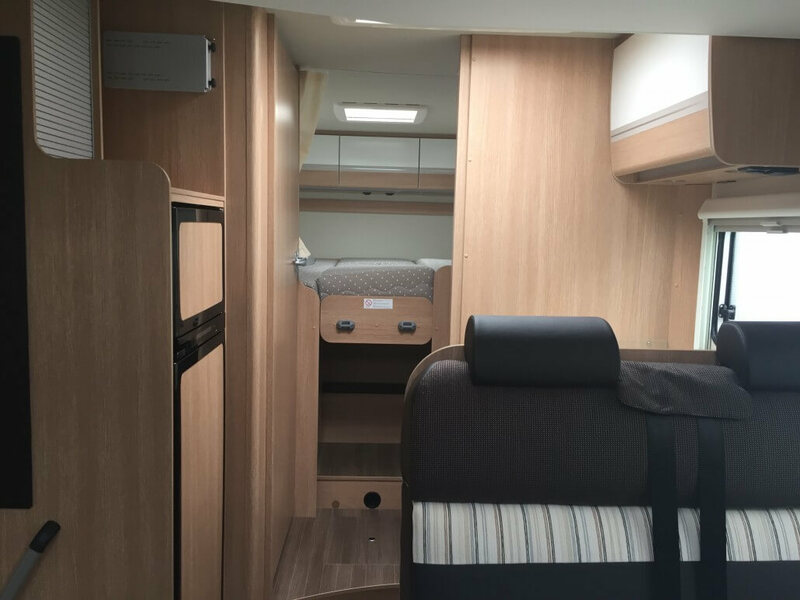 The overall length of the motorhome is 7.43 metres, and it carries a 122 litre fresh water tank and a 92 litre waste water tank. 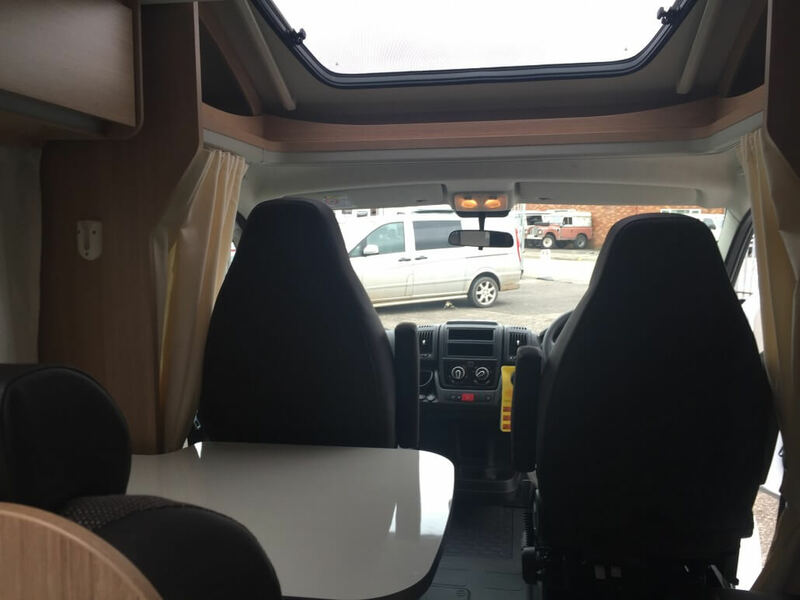 Also our new T68 motorhomes also seat four people, yet, there is the option for an additional belted seat with the ‘Safety Pack’. Featuring a corner kitchen unit and a neatly tucked away bathroom area. The homes include everything you would need for an action-packed holiday, making full use of the space available! 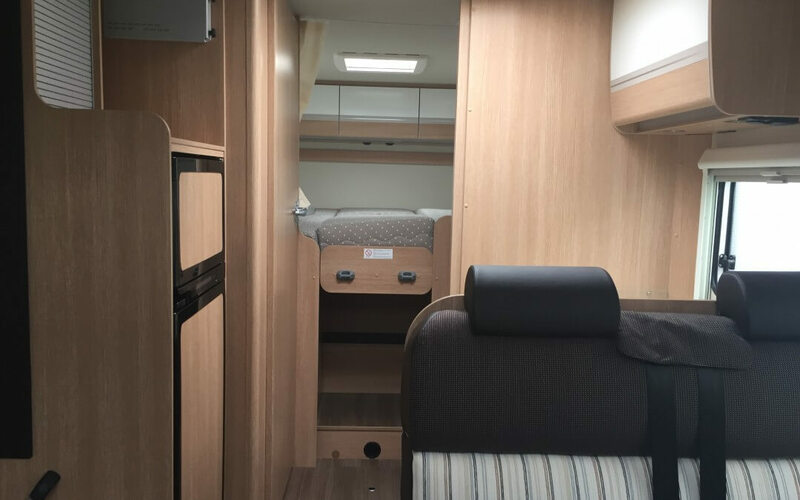 With rotatable passenger and driver seats, and the dinette handily converting into a double bed, you’ll never run out of space. Sounds good. How do I book? 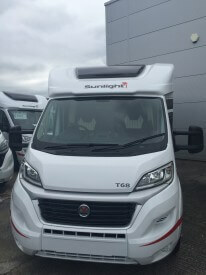 While, if you’d like to book a holiday now, or in one of our new T68 motorhomes, which will be available from April 15th, give us a call on: 0117 9372644 or email us at: info@motorhometravelagency.com. 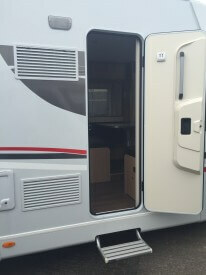 If you like the sound of our T68’s, prepare yourself for the arrival of our A70 motorhome! As it will be available shortly.